2019 brings with it a bumper crop of blockbusters. Avengers: Endgame, Star Wars Episode IX, Toy Story 4, Frozen 2… from science fiction to fantasy, adult-oriented fare to all-ages adventures, there are tantalizing story threads dangling all over the place. With so many highly anticipated sequels, fans can't help but wonder what will happen to their favorite heroes and villains this year. Accordingly, there are theories popping up like mushrooms all over the fertile forests of social media, ranging from the convincing to the truly bizarre. How will Thanos be defeated? Why is there a plastic spork hanging out with Woody and the Toy Story gang? Will Elsa's powers remain under her control? The speculation is rampant, intense, and entertaining all on its own. To help you find some footing in the rugged wilderness of fandom, we've sought out and assembled these theories pertaining to the biggest releases of 2019. Some are wild, some are wacky, some are just plain weird — but all of them could come true and change absolutely everything. Kylo Ren is a cold-hearted killer. Rey is driven by a desire to bring freedom to the galaxy. They could not be more different — and yet, in the wake of The Last Jedi, they've never been closer. An unlikely alliance grew between them as that movie wound on, fed by their mysterious Force bond. Though it ended nastily and they are once again at odds as Episode IX nears, something lingers between them that could very well alter the course of the Star Wars universe. Before The Last Jedi, "Reylo" — the romantic pairing of Kylo Ren and Rey — had its fans, but wasn't really discussed with anything like conviction. 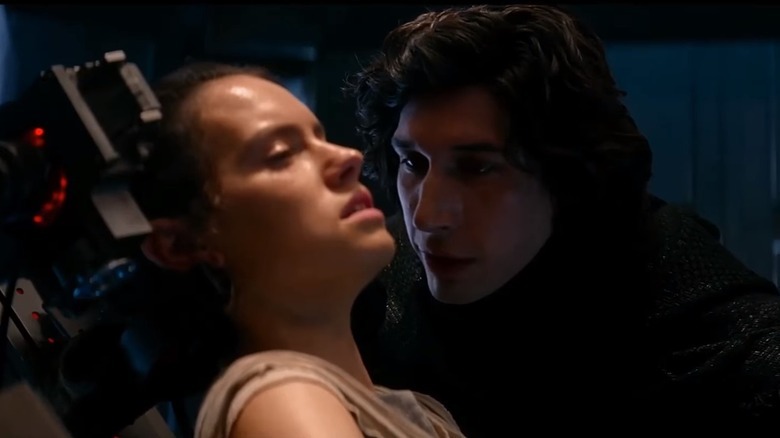 Now, however, it forms the basis of one of the most persuasive and dominant theories in Star Wars fandom: wIll Kylo Ren and Rey become romantically paired, and will that save the universe? Once, it was easy to dismiss such a theory as wishful thinking on the part of eager fans, but after Last Jedi's throne room fight, in which Kylo Ren and Rey work together in a battle as electric as any we've yet seen in the Star Wars universe, it's got real, substantive backing. Will love save Kylo Ren, and with him, the day? Will Rey balance a passion for the man in black with her allegiance to the light? Only time will tell. 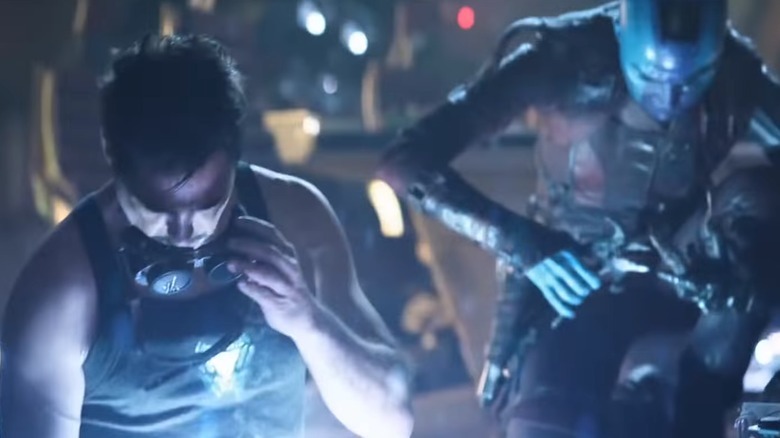 No movie looms larger over the collective imagination of 2019 than Avengers: Endgame. How will the world be saved? How will those who died at Thanos' hands be reborn? 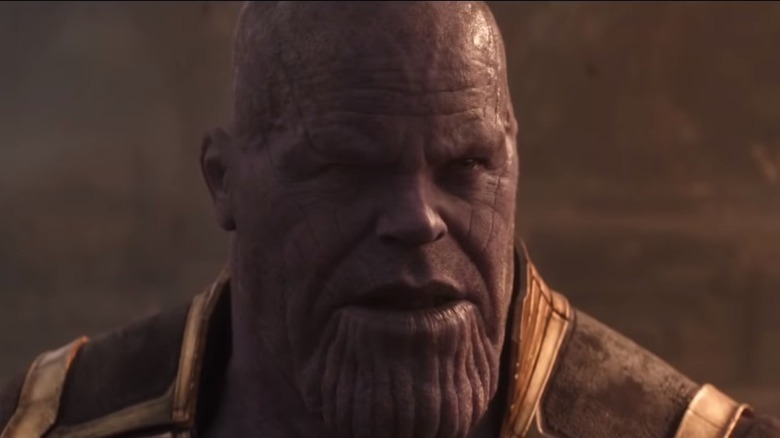 How can anyone defeat the Mad Titan when he has, literally, the power of the universe in his hand? Through his control of the Infinity Stones, Thanos controls every aspect of existence as we know it. He has, essentially, become a god — one beyond even the most godlike of the Avengers. But one theory proposes that in gathering the Stones, Thanos has sown the seeds of his own destruction. The gauntlet is fearsome, yes, but without the Stones it's a piece of technology — and Tony Stark has that covered. The "Stark Gauntlet" theory suggests that if Tony were to build something similar, all that would need to be done would be to wrest the Stones from Thanos and use their power to undo his destruction. No need to search — they're together, and they've proven how powerful they can be. Now it's only a matter of taking them from the Mad Titan himself. Spider-Man has one of the most well-known rogues' galleries around. The Vulture, one of his classic foes, figured into Spider-Man: Homecoming as a fine example of it, and more was teased in a mid-credit scene that saw Vulture approached by fellow prisoner and villain Scorpion, who slyly suggests a team-up. 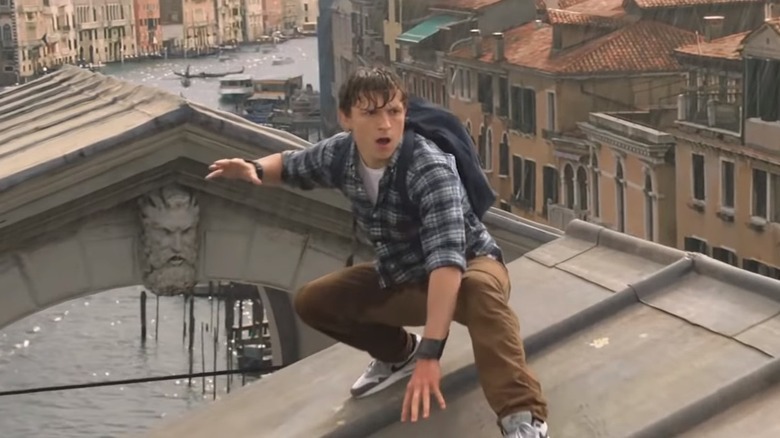 While Mysterio, a master of illusion, is confirmed as a villain of Spider-Man: Far From Home, a theory casts its shadow over his place in the movie. Were we seeing the formation of classic Spidey bad guy squad the Sinister Six in that mid-credits scene? And do the elemental powers on display in the trailer point to it as well, considering Hydro-Man and the Sandman's affiliation with the Six? Only time will tell, but one thing's for sure: Spidey has a whole heck of a lot of bad guys after him, and they've got powers he's never encountered. Hans Christian Andersen's The Snow Queen is one of the world's favorite fairy tales. A sweeping epic of good and evil, it tells the story of a little boy named Kai, captured by the fearsome Snow Queen, and Gerda, his brave best friend who journeys across the frozen wastes to rescue him. Though Frozen was, initially, based on the classic tale and concept art attesting to it can still be found online, ultimately the structure of the original story was abandoned and Elsa, Anna, Kristoff, and Olaf became their own characters. Enter the trailer for Frozen 2. 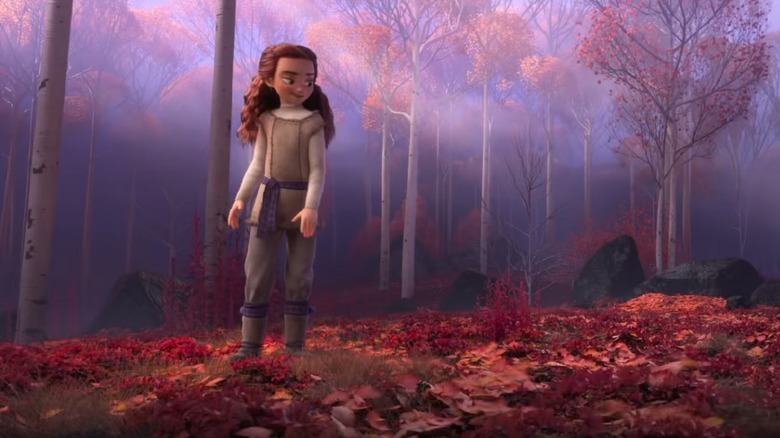 It's an explosive two minutes of animation, from Elsa's sprint towards the ocean to Anna's sword-handling, but in the midst of it are two mysterious characters no one can quite identify: a girl and a boy in an autumnal wood, being buffeted around by a sprightly, leaf-strewn wind. Speculation has been growing ever since. Are they royal? Magical? Are they creating the pink fire Elsa is seen battling? One theory emerges above the rest: that they are Gerda and Kai of The Snow Queen. Questions linger about how their story might mesh with the very different universe of Frozen, but given Disney's love of fairy tales and the fact that we know that The Snow Queen influenced the original movie, it's got legs to stand on. The world just can't seem to get enough of the Joker, Batman's zaniest, most depraved villain. 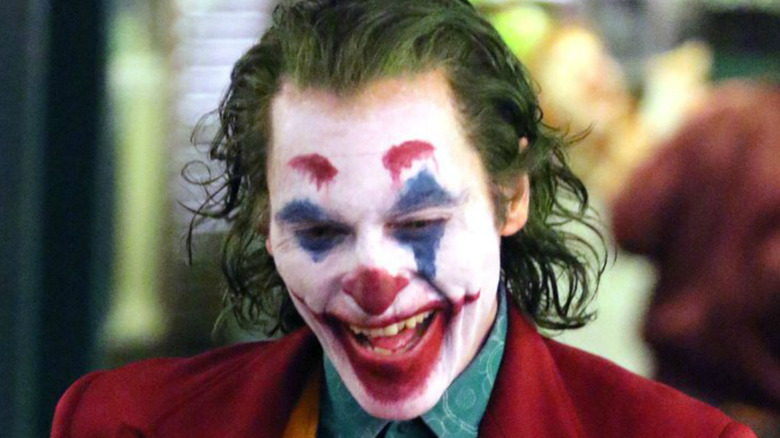 From Heath Ledger's grimy goblin of chaos to Jared Leto's ghoul of the nightclub scene, people find something enduringly compelling about Gotham City's Clown Prince of Crime — so much so that 2019 will see a Joker solo movie, in which Joaquin Phoenix is set to step into the madman's purple slacks. But what if Phoenix is playing a Joker that isn't our Joker? This is a theory sprung from two distinct facts revealed recently: this Joker will be a man known as "Arthur Fleck," a name never before ascribed to the character, and the film is set in the 1980s, with Bruce Wayne still a child. This would necessitate a Joker that, once Bruce has grown up to assume the mantle of Batman, is decades older than him. Though that is a possibility, it has been suggested that perhaps Arthur Fleck will be a sort of proto-Joker who will go on to inspire the villain we know. This would take the character to new heights, making him a constant that haunts Bruce Wayne from, potentially, birth until death. Given how far the Joker has been willing to go, conceiving of him as a fear played by more than one person isn't too far-fetched — it's exactly in line with his extreme tactics. The Toy Story movies have always rested upon one foundational tenet: a child's imagination is a powerful thing. It's a force for good, as when Andy's love of Woody and Buzz brings the two together. It can inspire acts of profound healing, as when Andy leaves for college and bequeaths his toys to a child whose imagination is just beginning to blossom. A kid with toys can do anything, according to Toy Story. Mostly, that's a good thing. But ever since the first Toy Story 4 trailer introduced Forky — a plastic spork with googly eyes and pipe cleaner arms who spends his screen time shrieking, "I don't belong here! I'm not a toy!" — questions have been raised. 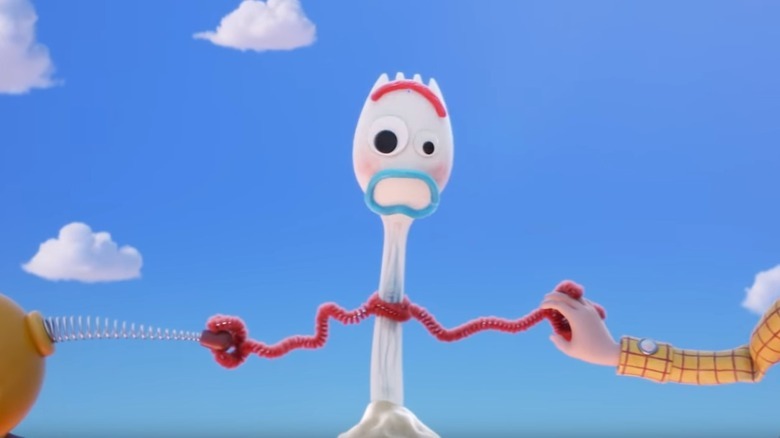 As not every inanimate object (including, say, utensils) in the Toy Story universe is sentient, did Forky gain consciousness when his child master decided to play with him? This is the foundation our dark theory rests upon: could the sweet little girl given Andy's toys actually be the antagonist of Toy Story 4, and her run-amok imagination the threat the toys face? What if she imagined a car as a toy? A kitchen knife? Her parent's yardwork chainsaw? What if Forky is only the beginning? If this theory is correct, Toy Story 4 won't just be about the magic of a child's imagination — it'll be about its menace as well. 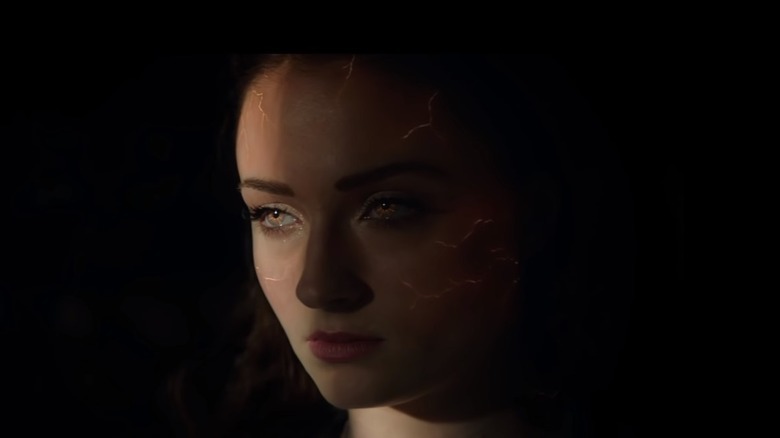 Jean Grey's terrible transformation from kind-hearted member of the X-Men to the power-hungry, planet-devouring Dark Phoenix is the stuff of comic book legend. She is, as she cries in an iconic panel, "fire and life incarnate," and her destruction cannot be contained. It's a storytelling well Marvel comics have returned to time and time again. It served as the basis for X-Men: The Last Stand, and it will come alive on the silver screen once more in 2019's Dark Phoenix. A bit of mystery casting has theories proliferating, however. 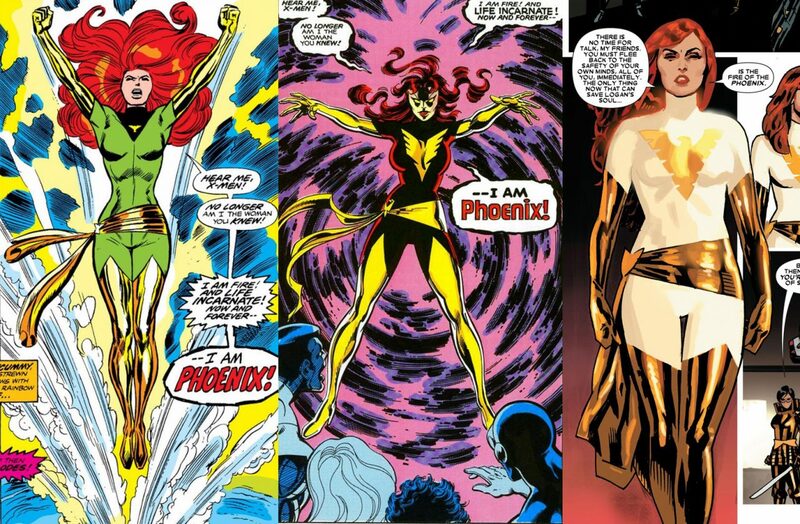 Jessica Chastain, cast as a thus-far nameless alien shapeshifter with an interest in urging Jean to become the Phoenix. Some are wondering if, in a departure from the Chris Claremont-penned "Dark Phoenix Saga," Chastain will be playing a character from Marvel's Ultimate universe, which retold classic stories in fresh new guises. The Ultimate version suggests Chastain might be playing a member of the Shi'Ar Church who worships the Phoenix and wishes to bring it to life in Jean Grey's body. Will Chastain prove friend or foe? We'll just have to wait and see. Godzilla has been called the King of the Monsters for decades now, and it's no mystery as to why. Though the creatures that have featured alongside him and in movies of their own over the years have given him a run for his money, no one has surpassed him in strength or presence at the box office. No wonder he's getting a whole new film franchise, to be continued in 2019 with Godzilla: King of the Monsters — he's the biggest and baddest of them all. It follows, then, that the subtitle of this movie refers to him. But what if, as is being theorized, it's a bit of misdirection? There are a lot of monsters in the trailers released so far, with Mothra, Rodan, and King Ghidorah figuring most heavily. 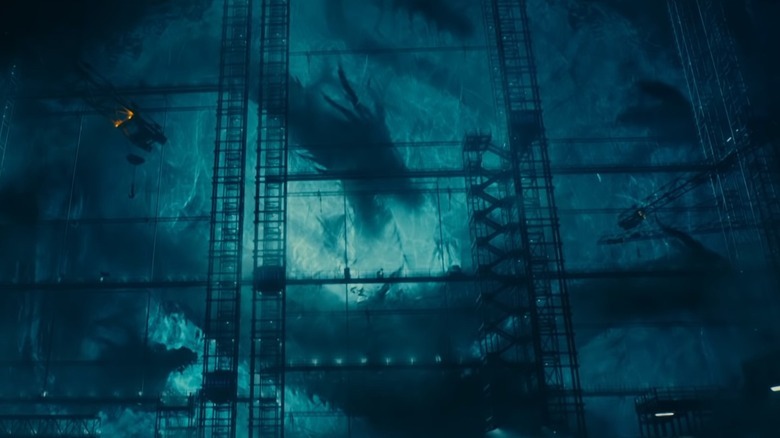 Ghidorah in particular has been the focus of multiple shots. The many-headed behemoth is a terrifying wonder to behold, and, well, he's got King in his name. What if he is who the title refers to, rather than Godzilla? And what if, the theory postulates, the movie is about Godzilla vying to become king by taking the title away from him? What if, in fact, Ghidorah is the villain and Godzilla, Rodan, and Mothra have to team up to defeat him? That would be the kind of titanic battle that would suit the characters featured — and cause the kind of untold destruction audiences pay to see. Billy Batson is an average kid until he becomes Shazam, a superpowered adult with the wisdom and power of legendary gods and heroes. Great deal, right? Well, it's complicated. Not everyone can shoulder the power of Shazam and be the "Champion of Eternity." In fact, one can be chosen and fail, thus leaving the mantle to another. 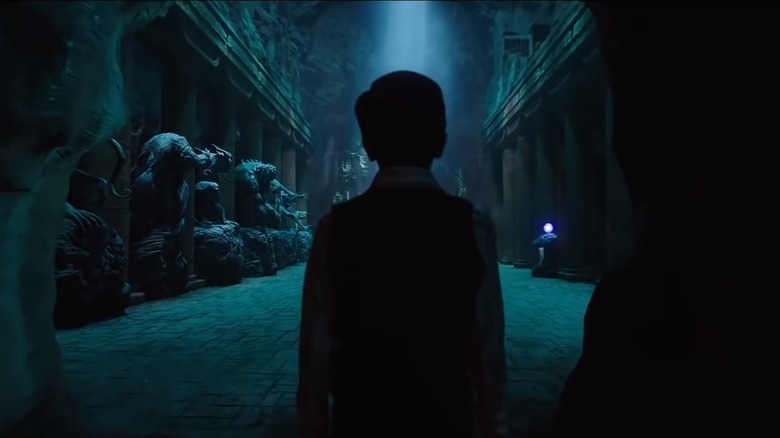 A recent trailer showed a young man walking into the Rock of Eternity, the sanctum of those who give Shazam his powers… but we don't see his face. Some suspect that this is a failed Champion, and further, that he is Dr. Sivana, the film's villain. It has already been revealed that Sivana was considered but not chosen to be the Champion, but what if that's a red herring, perhaps even one in-universe? What if the rubble we see filling the Rock of Eternity is, in fact, destruction he caused, after he was chosen and failed? This theory suggests that Batson (and the audience) are being lied to, perhaps out of shame — and that the conflict between good and evil will be much bigger than previously realized. Did anyone expect Detective Pikachu, let alone a Detective Pikachu voiced by Deadpool star Ryan Reynolds? From the photorealistically-rendered Pokémon to the sight of a Pikachu asking for coffee "black as night," it beggars belief. But it's real, it's happening, and it's going to feature all the glossily-animated Lickitungs you can handle. What could make it weirder? 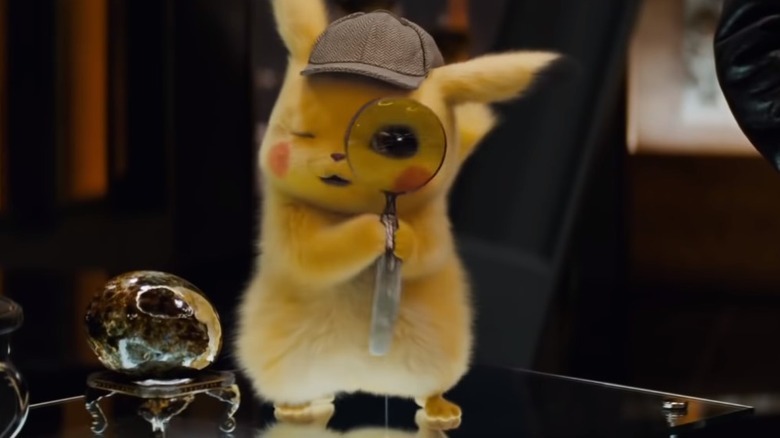 How about what one theory posits: that Reynolds' Pikachu is, in fact, protagonist Tim's missing dad? Here's what we know: TIm, regular kid, is sought out by Pikachu, who has amnesia and a hat with Tim's missing dad Harry's name stitched into it. Tim can hear Pikachu speaking actual human English instead of a babble of "pika pika," etc. The Pokémon world is full of all kinds of science and magic that play around with bodies and soul — recall the PC transfer system of the games, in which the player is somehow able to convert living, breathing Pokémon into ones and zeroes on a hard drive. Is the concept of a dad's mind transplanted into a Pikachu's body so strange? He's got the hat, he's got the ability to converse with a human. Why not a human's consciousness as well? Infinity War was a tear-jerker for a lot of reasons, but Gamora's death ranks somewhere near the top of the list. The revelation of Thanos' alleged fatherly love for her, betrayed immediately to further his aims, was crushing — not to mention the vision he saw, after slaughtering half the universe, of her on a mysterious astral plane as an innocent child once more. But, a theory suggests, perhaps that wasn't a vision at all. As Gamora did not die due to "the snap" but as a sacrifice to the Soul Stone, some are arguing that the child we saw was actually her soul, trapped in the Stone. It follows, then, that perhaps with the right kind of power, magic, and/or cunning, her soul could be rescued. 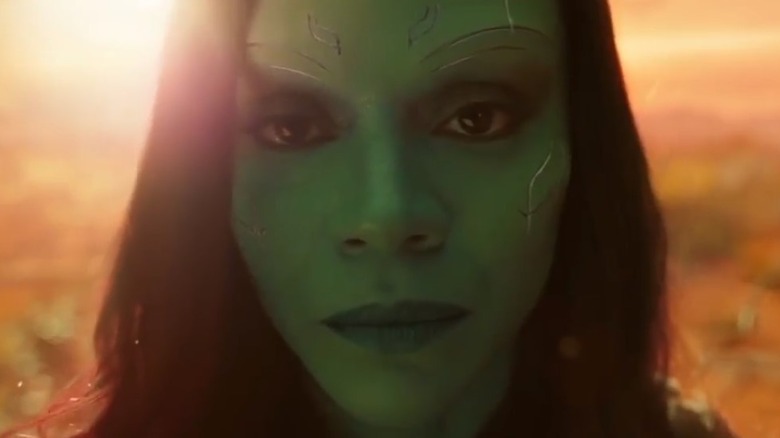 This wouldn't just bring back Gamora, but sever Thanos' control over the Soul Stone, thus weakening him and giving some power back to the good guys. It remains to be seen how this power would be used, to say nothing of how Gamora would go about getting out of the Stone. But it's something to go on, and offers hope to fans of the character and the possibilities for a third Guardians of the Galaxy movie.